$10 — your reward for each lot! 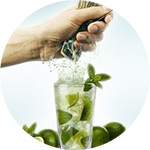 From 25th of May to 28th of June "FreshForex" gives all new clients real money - $10 per every closed lot! Take part in “Cashback” promotion, get reward during the whole month and squeeze the most out of market! During a week you trade in a usual mode and close volume in 10 lots. In the end of the week, you get extra 100 USD to your account only because you joined “Cashback” promotion. You may withdraw these funds from account either use them to increase your trading volume. Check special pageon our web-site to learn how to join the promotion and use it to your benefit. Be on time: offer duration is limited! I am interested in some information about your shop of advisers and indicators for trading on Forex market. I've heard that I can sell my adviser with this shop, haven't I? Let us present you an analytical review of the market “Gann & Price Action” from a practicing trader Alexey Panasenko. Read and receive fresh trading solutions daily! “Market has a cyclical character, so every trend cannot do without pullbacks, reversals and flat periods. Using a combination of Gann swings method and price action, we receive a full picture of market mood which accounts for risks and a possible profit”. 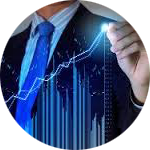 In forecasts by Alexey Panasenko you will find not only a description of market situation, but also ready-made solutions with Stop Loss and Take Profit levels specified. A new release of analytical review has been published today, do not miss it! WHAT ARE YOU READY FOR TO GET $2 500? From 11 to 21 of June, FreshForex is running “Need For Profit” Forex Race for the most energetic and brave traders. To start, you need only $20, whereas main prize is $2 500! Registration is already opened: take you place at a start, select a strategy and trading instruments. Use your experience and masterhood to come the first. - deposit extra funds into account. Prize fund in the amount of $5 000 will be divided by the top ten of contestants, who will come to finish with the biggest profit. Check page of the contest to read detailed terms of the promotion. START YOUR WORK WITH FRESHFOREX FROM BONUS +50%! Join FreshForex and receive up to +50% on deposit with “Change your Broker Bonus”! 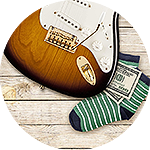 - instantaneous execution and 92 profitable instruments. You will find terms of this marginal bonus and guide for participants on the special page of our web-site. Receive bonus for your choice of a reliable broker on time! 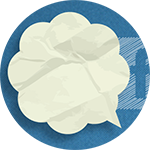 RECEIVE UP TO $20 FOR YOUR REVIEW ABOUT FRESHFOREX! From 16th of July to 16th of August you have a unique chance to get bonus up to 20$ for a review about your work with FreshForex. Tell colleagues and friends about your favorite broker and receive reward for that! We value your opinion about our company's performance and thus, we offer an author of each review a reward from $10 to $20. 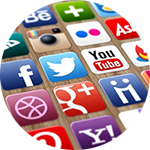 Bonus amount depends on several factors including the web-site where you will publish your comment. Check terms of the promotion to find our details. Bonus fund is limited – be on time to take part! 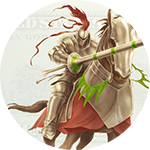 WAR OF TRADERS: $25 000 FOR THE TRUE CHAMPIONS! •	close up to 10 deals. 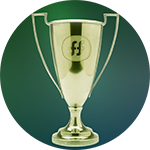 You have exactly 4 weeks to eliminate all the competitors and prove your leadership by receiving the trophy - $10 000 from FreshForex company. Good luck and let the best win! Can I take part in War of trader? Or I'm already late for this? The main newsmaker of the day is China: NBC conducted the greatest yuan devaluation over the past 20 years and reduced the reference rate of China more than by 3% for the last two days. 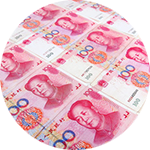 How have already the yuan weakening affected the markets, and what to expect? "Nothing to surprise that the first "victim” of the yuan devaluation became the Australian dollar, which lost 1.3% in the value. The Brent oil made the fast spike above 51.60 but less than in an hour the price dropped back below 51.00. What to expect? The weakening of the Chinese currency could have an important influence on the policy of the Fed. The dollar settle due to the yuan devaluation reduces the chances of the rate hike which is expected before the end of 2015 ". Within the news from China the volatility of metals and currency pairs increased and it means the "golden time" for active traders. Use the FreshForex bonus of 35% and get a safety chance to earn on the yuan devaluation! NEW: FREE SMS NOTIFICATIONS ON YOUR BALANCE! 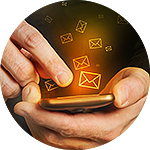 FreshForex company takes care of you and introduce you a new service - SMS Notifications on Margin Call situation.Connect to the service in the Client area, receive the instant notifications on margin level reducing and monitor the balance on your accounts. No matter where you are! Most traders waste their time checking the margin level, even if they set the Stop Loss in advance. Due to the SMS Notifications you can rest, practice your favorite hobby or chat with your friends not worrying about the market situation. Upon reaching the margin level below 100%, you will immediately receive a notification and, if necessary, be able to fund using mobile payments. The service is free and available to all FreshForex clients who opened a real trading account. You can connect to the service and customize the notifications in your Client area in the section “SMS Notifications". WE NAME THE WINNERS OF THE INTERNATIONAL CONTEST WAR OF TRADERS! We are glad to announce the completion of the international Forex tournament "War of traders", in which traders from more than 50 countries took part. Congratulations to the winners! We thank all participants, who took part in this fascinating,showed true trading mastery and bravely fought for the award. Though this contest is over, "FreshForex" company offers you no less interesting promotions. Find more information about them in the "Bonus and Promotions" on our web-site. Join us and be the first to receive the information about best Forex offers! We want to be closer to you and try to ship to you useful and relevant information even more faster! You can comfortably get the forecasts, our news and news of the whole world and share with your friends-traders! We understand that you might be tired of those serious analytics and strategies - so, we have prepared for you interesting articles about trading psychology, financial world and some jokes to make a little break in your big trading business. ASIA RECOGNIZED FRESHFOREX AS BEST BROKER! 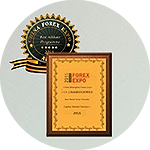 FreshForex received a new award - we were recognized best Asian broker on international exhibition Shanghai Forex Expo 2015 which was held in Shanghai from 11th to 13th of September. Shanghai Forex Expo 2015 is a significant event that identifies main trends of the Asian market. There were more than 50 biggest brokers including us, and the number of visitors has become record and accounted more than 10 000. It is a great honor to get this award and we thank all the traders for the vested confidence. Being the best Asian broker confirms the fact that there are no similar conditions to ours on the Asian market. If you haven’t joined the broker which is considered the best one by thousands of traders yet, open an account and join us right now! If you are planning to spend this Friday combining the useful with the pleasant, welcome to our Forex encyclopedia “Clever FX”! We made a list of articles about analysing methods of William Gunn for you. Have you met Mr. Gann already? This is an enigmatic famous trader of 20th century. He forecasted transaction results accurate to the few cent! Unbelievable? Yes! Especially if you know that at the beginning of his career he has lost almost all savings. In the rest of the money he went to travel between countries of the Ancient East and Africa in the hope of finding some secret knowledge. And he found! 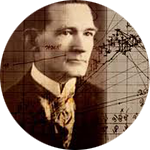 Gann considered that markets move in accordance with the laws of geometry. One of his major geometrical instruments was the line at an angle of 45º, with the helf of which the fan is formed. This line is also called balance angle or “one-to-one”, which means that one price interval corresponds to one time interval. The 45° angle of these lines finely demonstrates long-term line of thetrend! This analytical method underlies Murrey levels theory. But Murrey’s method do not always work as we would like them to and often rebuilding of levels takes place. Gann improved it! The main idea of how Gann grid works is related with the balance line. The upward tendency rules if the price is getting higher the Gann line. And we face the downward tendency if the price is below the line. You know a lot about Gann’s secrets? Tell us! Make an article about it and get the $10 bonus! Please read the detailed terms of the promotion. HAPPY BIRTHDAY TO US - HAPPY BIRTHDAY TO YOU! 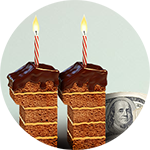 FreshForex company has turned another year older — we are 11! Thank you for sharing this joyful event with us. For these 11 years, we managed to have done what only a few ones managed to do: we have conquered more than 100 countries, launched dozens of innovative services, successfully passed the "Black Thursday" and become the reliability model on the market. A Russian company has grown into an international level broker trusted on all the continents. It was FreshForex who opened a brand new trading style for traders: with immediate execution, maximum benefit and support service at every step. We are pleased that you have evaluated trading with us! All of the company's achievements would have been impossible without the support of traders, so today those who should receive congratulations are you, our clients. Your feedback and ideas, your activity are our main "driver" and assistant. Thank you for trusting FreshForex an important and responsible mission for all these years - helping you to earn and fulfill your dearest wishes. Probably that was about our today's release. However, no MT5 options are incorporated their. As I know, no broker have MT5 as a full working platform cause it always shows some malfunctions. How to increase your deposit at once? Use our support margin bonus! Double your deposit with the help of our bonus. Get 5$ for 1 lot of lucky trades either 10$ per 1 lot of losing trades. - No mediators, you get your rebate directly from your broker! Double bonus for switching from your broker. Hurry up, the promo will be finished on November 26! SAVE ON COMMISSION ON DEPOSIT! We are glad to inform that FreshForex cancelled the commission on deposit through another payment system Neteller. Fund your account, save on commission and joy yourself with no less pleasant presents. - handling withdrawal requests within 10 minutes. Follow the special page of the promo and do not miss the chance to save on the comissions on your favorite payment system. If you want a New Year gift of the evergreen dollars, it's time to get it! From December 1 to 27 our New Year contest "Snow Ride 2016" is held, where only cash prize is! We have 20 prizes, which means that 20 best snow riders will share the prize fund $2016. •	take a medal place in the Contest rating of traders. •	settle "Gain" index at least in the rate of 20%. •	close at least 5 days in the "Active days" figure. •	close at least 10 deals. •	make additional funds to the account and trade to the maximum. Harness reindeers, jump in a sledge and race for the cash prize for the New Year! You haven't chosen a New Year gift for yourself yet? Then we will help you to make the right choice! Take part in the competition "Snow Ride 2016", take the 1st place and get the evergreen dollars by cash! We have 20 prizes and $2016. Make yourself the best New Year's gift — real dollars! Last chance to win cash! There is exactly one week before the end of the competition "The Snow Ride 2016". 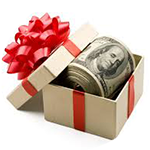 If you are not on the way to $516 by cash, it's time to rush for your holiday gift! take a medal place in the Contest rating of traders. settle "Gain" index at least in the rate of 20%. close at least 5 days in the "Active days" figure. close at least 10 deals. make additional funds to the account and trade to the maximum. Please note, that according to the terms of the contest, the "Activity" figure is at least 5 days. This means that you have 2 more days to achieve even greater success! FRESHFOREX ANNOUNCES THE WINNERS RECEIVED CASH PRIZES! Our holiday international contest "Snow Ride" is completed. The prize fund is $2 016 cash for the most active participants! The trader Fame, which took the "gold" of the contest, showed the growth rate of 351.47% just for 5 days! Unfortunately, the trader Alexa2 (8th place) did not meet the condition of closing trades (9 trades from the required 10), traders Platfoprmer (11th place), TocaRace (14th place) and Makar (15th place) did not meet the term of "Activity." In this regard, the prizes redistributed among the other participants, who met all the conditions of the contest. Congratulations to all the winners of the "Snow Ride". Use a great opportunity to spend the cash! You did not have time to take part in the competition? FreshForex has other interesting offers! Check them out on our special page "Promotions And Bonuses". SANTA CLAUS WILL BRING YOU UP TO $10 FOR EACH LOT! 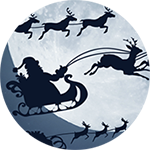 Do you think that you are out of the age when for believing in Santa Claus? We will destroy this myth! •	$5 per 1 lot of trades in profit. 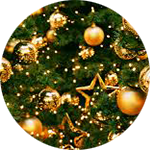 Join the promo and get your present under the Christmas tree in any case of the transaction! We are glad to inform you that we have had one more award in our collection of prizes and awards. According to the the best brokers rating of the International IAFT Awards 2015, FreshForex company became the first one in the "Dynamic Development" nomination! IAFT Awards is a unique awards ceremony, which determines the best brokerage companies by an independent voting of more than 150 000 traders from all over the world. The organizer of the Award is the International Association of Forex traders (IAFT). 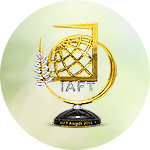 Getting the IAFT Award is the high assessment based on the results of the company on the financial market, as well as recognition and respect on the part of traders. We thank all of the voters and, especially, our clients. Only together with you and your support, we were able to achieve excellent results. We continue to improve our services and trading conditions for you. We back your most favorite promo of the last year — "Cancel Of Commissions". Top up your account, and we will compensate you 100% of the commission! for your little whishes. Thus, if you deposit your account with $1 000, we will give you $25. All you need is to follow the special page of the promo and do not miss the days of cancel of the commissions for your favorite payment system. We are glad to announce the completion of the first stage of the exciting "Great Trading Contest". Traders from all over the world, from Asia to Latin America, has participated in the battle for the BMW X6 M. The first five lucky winners, among which we will ruffle off the luxury car, are here! 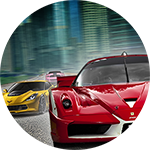 We give our clients not only a chance to become the owner of the premium car, but also to share the prize fund $3 000 for the ten winners in each stage of the contest. Now it is your turn to become a draw participant to win BMW X6 M and share the prize fund $3 000. The second stage of the "Great Trading Contest" is waiting for its winners! Join the contest now — it is still easy! •	fund your account from $100. We are waiting for you in the second best ten of FreshForex traders!